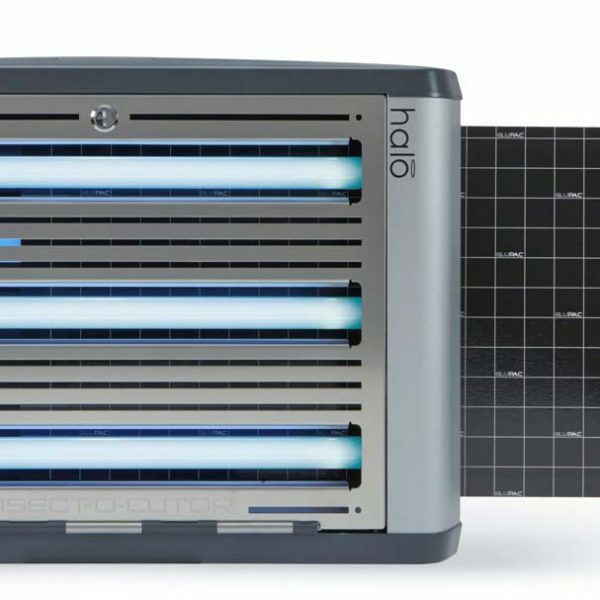 Halo is a very versatile glueboard fly killer available for use across a range of commercial applications. All Halo products feature a light reflecting swing down front guard, simple glueboard replacement and common high efficacy 15W UV tubes for reduced inventory requirements. 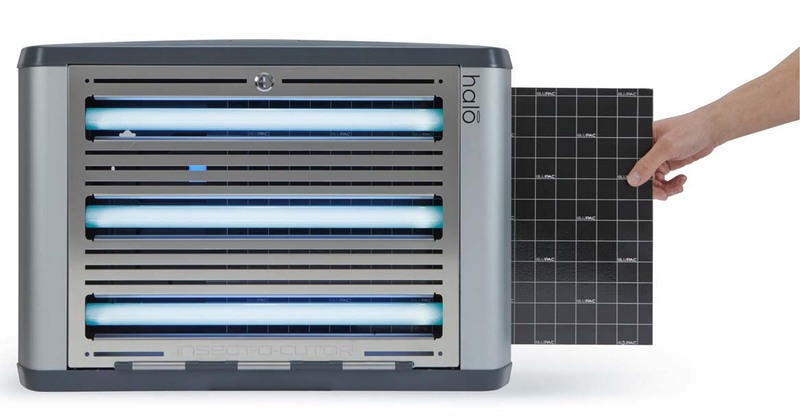 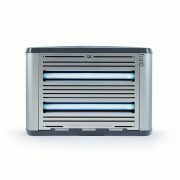 For increased efficacy Halo incorporates UV reflecting aluminium components such as the removable debris tray. 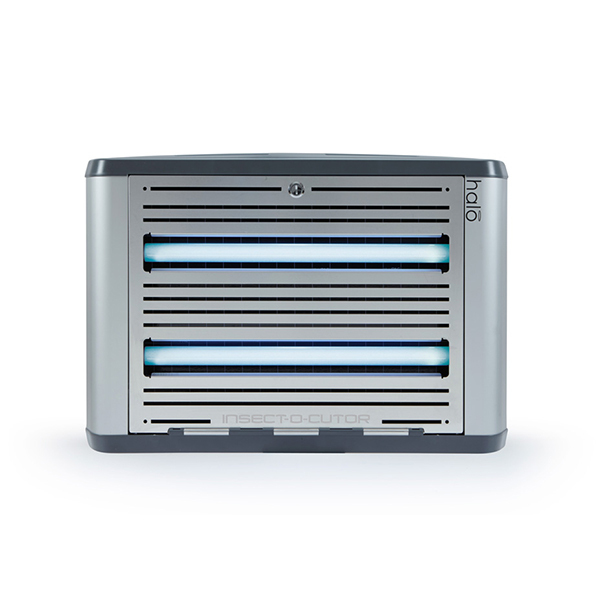 The patented variable side light output gates either allow 180° light output for increased efficacy or when closed, ensure UV light does not discolour decorative mounting surfaces.